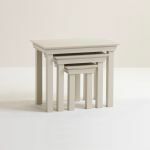 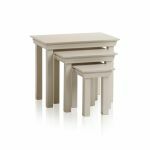 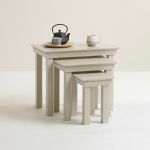 Versatile pieces for the living room or dining room, the Arlette grey nest of tables is a lovely addition to any home. 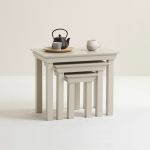 Each of the three tables is constructed from solid hardwood, and finished with a crisp versatile mid-tone grey coat of smooth paint for a clean and sophisticated look. 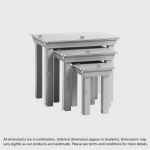 Their tops feature the decorative cornices that are signature to the range style, and the tops have a clean smooth style. 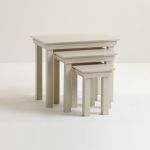 Designed to be used flexibly, try these painted nests of tables as extra seating when guests come, or as smaller tables to place lamps, nibbles and more. 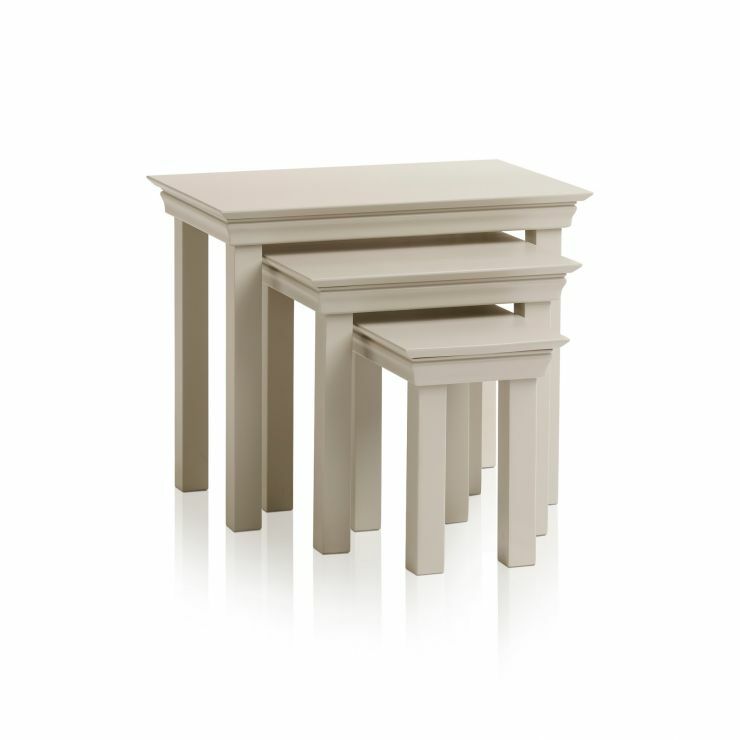 Shop the full Arlette range to find stylish pieces for every room!